Gratitude is a perennial human experience. The wonderful thing about psychology is that it can add empirical information to such human experience. By examining the psychology behind gratitude, we can understand its importance for healthy, human functioning. Gratitude: the quality of being thankful; readiness to show appreciation for and to return kindness, defined by the Oxford English Dictionary. Feeling and expressing gratitude can bring so much joy to your life. Remember how you felt helping a friend? The little warmth it made you feel inside your bones. To feel good, more regularly and naturally, you need to amend your expectations to see the positive before you see the negative. It’s time to start recognising your accomplishments on the everyday. Do you ever just stop and give yourself a pat on the back for doing a good job on something? If you are always aiming for the long-term goal you might get frustrated. Gratitude is an acknowledgement that something meaningful has been done for us. It’s a deliberate recognition of the generosity of somebody else. We can also be grateful for things that haven’t necessarily been ‘given’ to us such as our health, a roof over our heads, or being grateful for relationships in our lives. Gratitude is the most unrated virtue. However, when one engages in comparative religious study, gratitude is thought of as an invaluable quality and is deemed essential for living a good life. The consensus among a large proportion of the world’s ethical thinkers is that people are morally obligated to feel and express gratitude to experience life to the full. “Upon recognition of God’s outpouring of favour, humans respond appropriately with grateful affect, and gratitude is one of the most common emotions that Judaism, Christianity and Islam seek to evoke and sustain in believers” said Professor of Psychology, Robert A. Emmons and psychologist Michael E. McCullough in their book ‘The Psychology of Gratitude’. The psychology behind gratitude has its origins in this religious thinking, as does much of psychology. Religion can be thought of as a precursor to ethics and psychotherapy. Carl Jung, the renowned psychiatrist and psychotherapist, laid out this line of thinking in his essay ‘Psychotherapists or the Clergy’. When the brain feels gratitude, parts that are activated include the ventral and dorsal medical pre-frontal cortex. These areas are involved in feelings of reward, morality, interpersonal bonding and positive social interactions. Gratitude also has the capacity to increase neurochemicals. 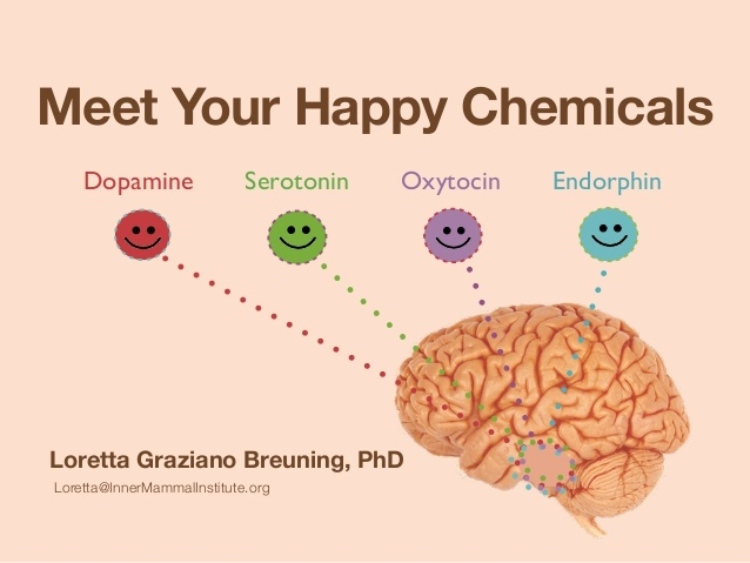 Dopamine, serotonin and oxytocin are all feel-good chemicals which can surge up in your body when you’re promoting a positive mindset over a negative one. These all contribute to the feeling of closeness, connection and happiness which can all be linked back to gratitude. How do we obtain a growing sense of gratitude? Whether or not you are naturally grateful, focusing on your own life’s positives can train you to see more and more of the good things, and will in turn help you become more grateful. Acknowledging the everyday things instead of the long-term goal can help you live more presently. Sometimes it’s essential to make gratitude a habit because when life throws you some bad negative vibes your body is trained to counteract them with positive thinking. Celebrating small steps can trigger more dopamine in our body. It might feel silly to look for small achievements in our everyday lives, but soon enough it becomes a healthy habit which helps you recognise good things among the mundane. Try training your mind to trigger good thoughts in order to avoid indulging on the bad stuff. Don’t dream about your life goals, make small steps towards them and celebrate the smaller goals along the way. 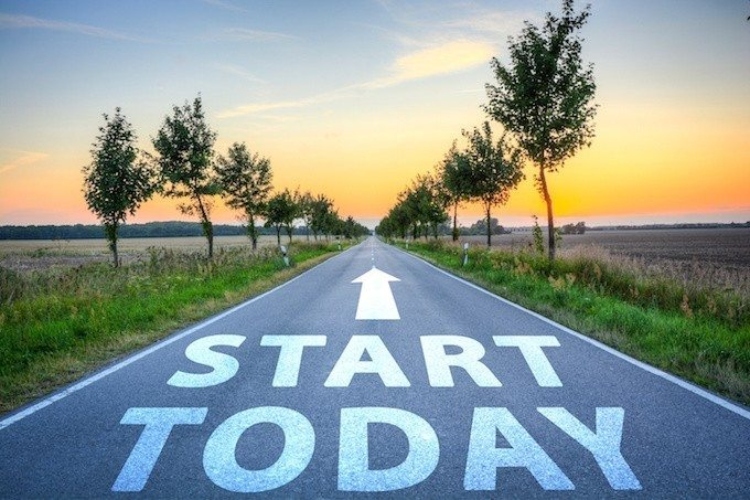 We all have tasks we will leave to the very last minute because we would rather not do them, however if you dedicate just ten minutes to making a start, you will find yourself getting into a rhythm and flow. Eventually, if you keep overcoming your mind with these ten minutes blocks, first facing your most challenging tasks and then rewarding yourself after, it will become a habit and your body will naturally start to do it. Your mind will start getting used to replacing the bad feeling with the good feeling and enjoying the satisfaction of getting a task finished. Eventually your positive expectations will fuel your dopamine levels which will make you naturally start to feel good. If you can’t get stuck in, don’t take exercise and its benefits for granted. Be grateful for the functioning body you have. Moving your body in different ways and in different places can stimulate much needed endorphins which will make you feel motivated and ready to take on anything coming your way. Science tells us that the brain changes with experience, so if we keep practising gratitude, the brain then learns to start looking for the positive first. We can teach our brains to not ignore the bad factors but to instead focus on the positive outcome. We naturally slip towards a negative bias, it’s human nature to focus on the threats, the bad outcomes, but we can change that. Teach your mind to hold onto the good factors and let the bad slide off. The brain needs them feel good emotions to feel safe and connected, this is encouraged by putting emphasis on the feeling of gratitude. Why not get a journal and each morning before you start your day, write three things down you are grateful for? This can be your health, something good that happened, a person, just sit and think for ten minutes before you start your day. This will straight away set you up for a win that day because you’ve started your day off by switching your mindset.